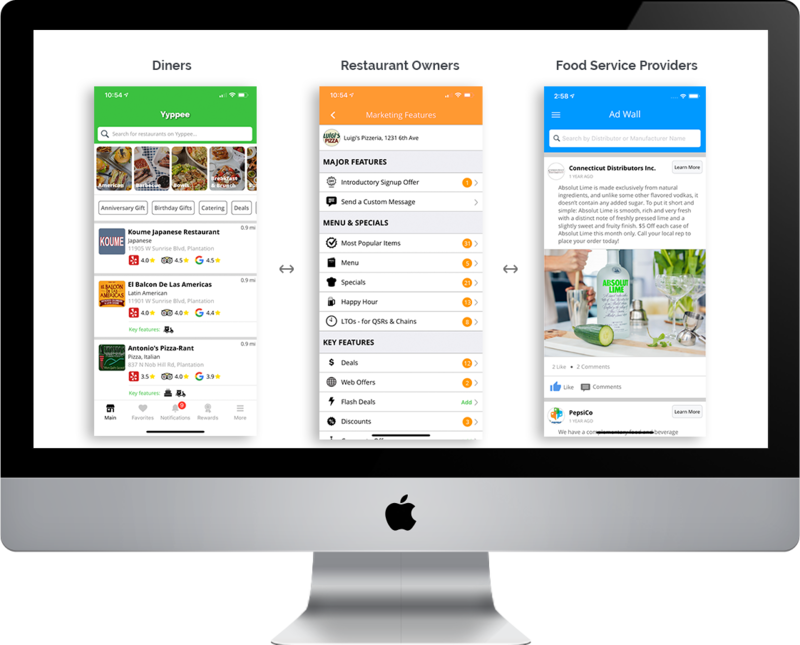 Yyppee connects Diners, Restaurant Owners and Food Service Providers together like you've never seen before! Get more Diners, coming in more often, spending more money. Market, Promote and Communicate your products and services directly to restaurant owners across the US.